Director James Cameron, who was recently called out for never turning his projects in on time by Fox CEO Rupert Murdoch in a comprehensive Fortune interview, participated in a Reddit AMA this morning, giving his Avatar franchise a timetable. According to Cameron, Avatar 2 (2016), Avatar 3 (2017) and Avatar 4 (2018) are all in preproduction and are being worked on simultaneously. "The second, third and fourth films all go into production simultaneously. They're essentially all in preproduction now, because we are designing creatures, settings, and characters that span all three films. And we should be finished with all three scripts within the next, I would say, six weeks. There's always pressure, whether it's a new film or whether it's a sequel, to entertain and amaze an audience. I've felt that pressure my entire career, so there's nothing new there. The biggest pressure I feel right now is cutting out things I love to get the film down to a length that is affordable. There hasn't been a problem finding new and wonderful things to include in the movie." "If we make [the release date], it will be the first time [director] James Cameron's been on time or on budget. But he's never lost me. When he finally comes through, they're just huge hits." Avatar 2 is scheduled to be released November 2016. In Rupert Murdoch's defense, James Cameron has a reputation for missing release date deadlines. Titanic was set for a July 1997 release date by Fox, but it had to be pushed to December to finish SFX. A similialar thing happened with the first Avatar. It was set for release May 2009, but it too got pushed to December of that year to accommodate for VFX work. 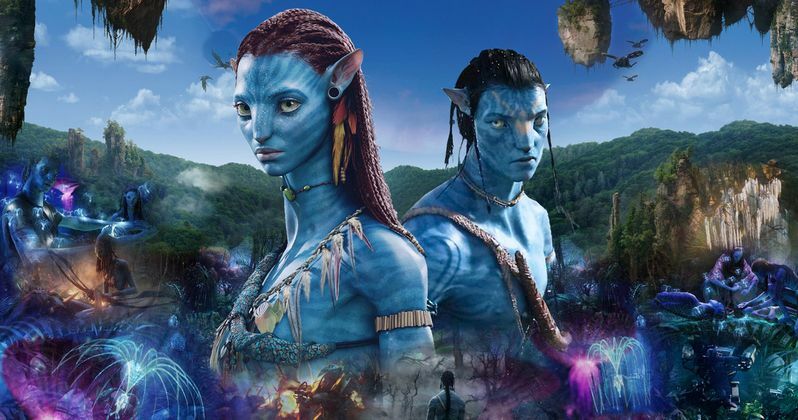 With Avatar 2 set for a holiday 2016 release, its possible that we could see it pushed to summer 2017. In related news, it was /arnold-schwarzenegger-could-reunite-with-james-cameron-as-the-villain-in-avatar-2/rumored in September of last year that Arnold Schwarzenegger might reunite with director James Cameron on the anticipated sci-fi sequel Avatar 2. James Cameron was quick to shoot down those rumors. "As of right now, [Arnold] and I have not discussed it. I don't see a role as the scripts are coming together that would be appropriate for him, so I would say probably not." The director went onto comment about Disney Parks upcoming Avatar Land, which he seems genuinely excited for. "Well, Disney are doing a first-rate job designing it. It's going to be completely spectacular. It will be like being on Pandora. You will see real floating mountains. It's going to be a very magical experience just to be there and walk around. And the two rides will be absolute state of the art. But I don't how much they want to say about what those rides specifically will be, so I probably shouldn't say anymore than that. But from what I've seen so far, it will be amazing. I will be sad it's in Florida, because I won't be able to go a lot to it. ?